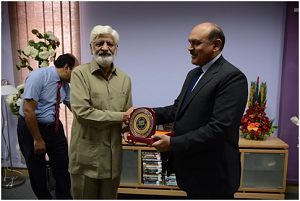 Prof. Dr Muhammad Ashraf, Chairman Pakistan Science Foundation (PSF), appreciated the valuable contribution of the University of Sargodha (UoS) in the field of science and technology. He was addressing a daylong workshop on intellectual property rights at UoS, Sargodha on May 15, 2015. 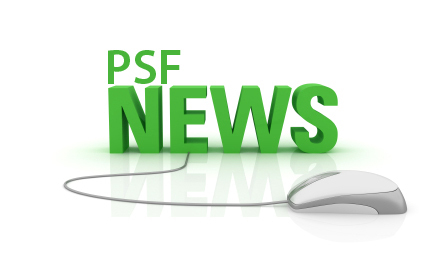 The workshop was jointly organized by PSF and Office of Research, Innovation and Commercialization (ORIC), UoS. Dr Ashraf appreciated the research and innovative activities of the University and promised to provide it with more funds from the PSF in future. Dr Akram Chaudhry, Vice Chancellor UoS, said that there was need for changing the social culture. He said that the people at the helm of affairs shouldn’t think of their personal gains and they should prefer progress and development of the country. Prof. Dr. Akram Sheikh, DG PASTIC, threw light on the importance of intellectual property rights. ORIC Director Dr Ishtiaq also addressed the workshop. Mr. Ishtiaq Hussain, ORIC Director, UoS, also spoke on this occasion. 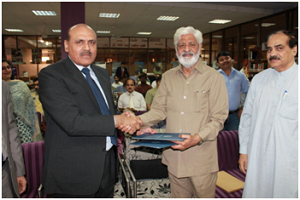 Later, Prof. Dr Muhammad Ashraf, Chairman PSF and Dr Akram Chaudhry, Vice Chancellor, University of Sargodha signed a MoU for cooperation in research and innovation.